Phoenix, Beach Boys, Bruce Springsteen, Bob Dylan, Bright Eyes and more. 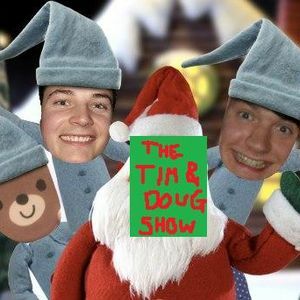 In this week&apos;s show you get an extra twenty minutes of Tim & Doug goodness - hurray! ...We fill that time mainly by talking about Risk. The last round of Paintshop Pros heats up, which is ironic because we went for a Christmas theme this week. We&apos;ve also got chat about Big Brovas (remember them? ), Noddy Holder, The Script (who get another bollocking from Tim), The Killing (brilliant), and the US Inbetweeners (terrible). Enjoy yer little socks off!